A bridge is obviously the best solution between north Vashon and SW but expensive. 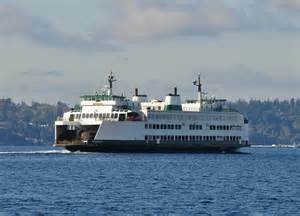 Second best option, build a high speed gondola between the two leaving the Vashon commuter cars in SW. Easy to forget but Vashon already has ferry service on the south end at Tahlequah so they have options getting their vehicles on and off the island. SW-Fauntleroy is awful for commuters on the AM runs- if you are traveling by POV you have to queue up extremely early as there are few non-limited passenger vehicle runs. And coming back, its the same – the same long lineup because there is no separation of Vashon and Southworth destined vehicles. If you take transit there are buses headed into downtown, but no direct routes to SODO.